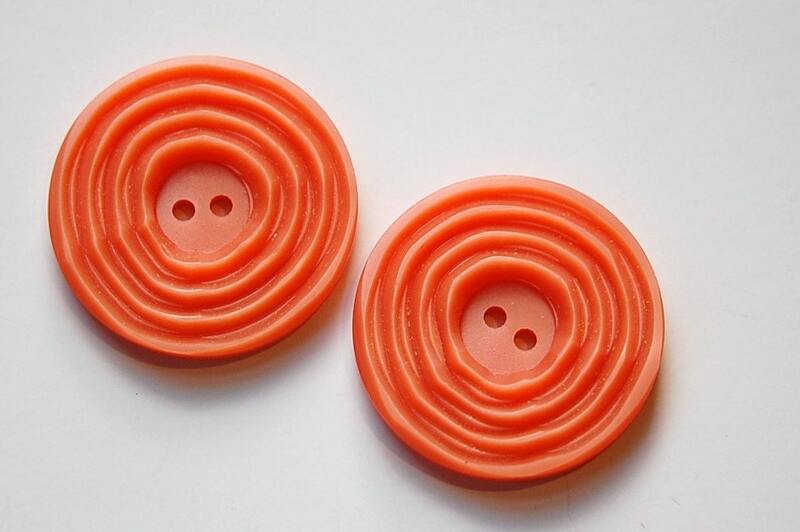 These are vintage buttons that are made from some type of plastic. They have etched grooves. 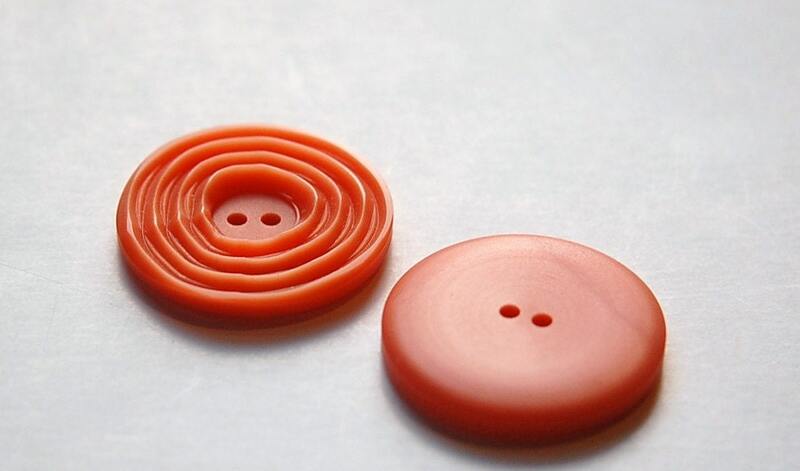 If you wanted to use these as a setting you could set a 10mm cabochon in the middle. These measure 34mm. You will receive 2 buttons.